The checkered flag has gone green, and for SAE Formula Onesanctioned racing clubs working with POET, the road to developing efficient cars using clean fuels like ethanol is wide open. For South Dakota School of Mines and Technology (SDSM&T) Hardrocker Racing team member and primary driver Brian Wiles, this means more power, at a lower cost to a car’s engine and the environment. 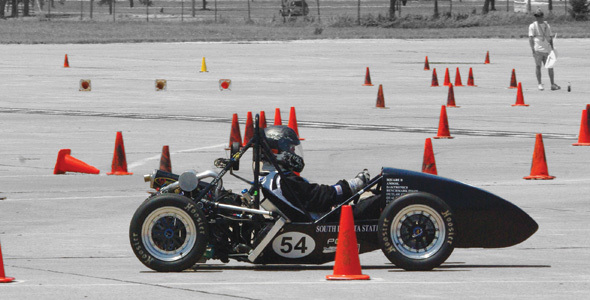 The Hardrockers are one of four teams POET supports as it works with regional Midwest schools to fuel America’s future engineers as they build Formula One cars from the ground up, test and market them as part of an annual competition organized by the Society of American Engineers. In addition to those from SDSM&T, engineering students from South Dakota State University and Minnesota State University, Mankato, as well as Alden-Conger high school, in Alden, Minnesota, put design theory into practice during this annual competition. According to Kyle Finn, project manager for the SDSU Wild Hares, the innovation and progress the student teams make each year could slow down without POET’s support. For the western region, the annual project culminated in Lincoln, Nebraska, this year, where judges evaluated student vehicles on design, cost, power, fuel efficiency and engineering (Brooklyn, Michigan hosts the other regional competition). “The main endurance event is 22 kilometers split between two drivers,” said Wild Hares Chief Engineer Jordan Richter. “The entire race is usually around 20 laps. Average track speed is 40 miles per hour and top straight away speeds are usually around 60 to 70 miles per hour. 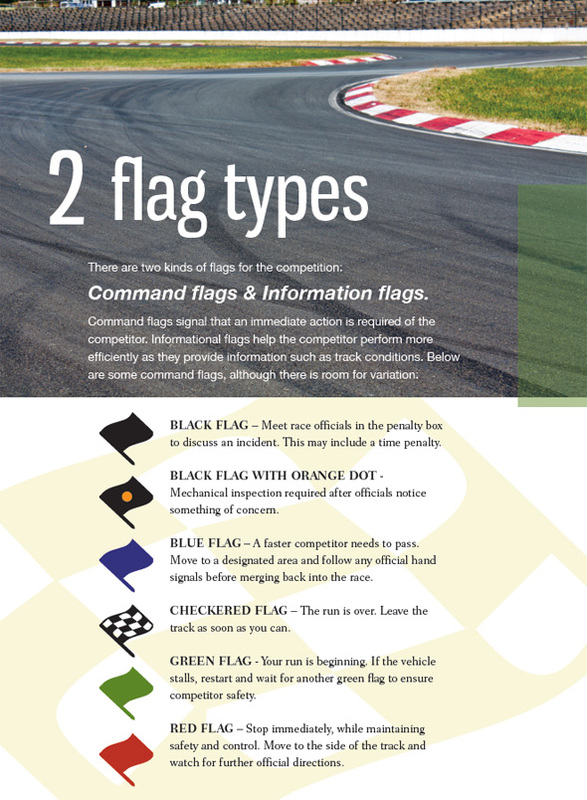 The event officials try and design the courses to limit speed to put the emphasis on handling capabilities.” This creates a safe environment for student racers, but also one that is challenging enough to test each vehicle’s construction, mechanics and fuel efficiency. Although consumers may not think about the years of testing that go into their own vehicles, this is where control and efficiency begin. And when these racers compete against each other on the track, a sense of responsibility toward a greater goal unites them in some way. Wiles expresses hope that as the green movement continues to build momentum people will get on board with racing and understand the impact of both the racing industry and the biofuels industry in their own lives. “It is important for people to remember that many technologies have come from racing endeavors,” he said. “Even if the initial idea was intended for production cars [that idea] is almost always tested on the racetrack first. The Formula One series in particular is a good indicator of this momentum. Since 2007, when the Honda Formula One racing team began its environmental awareness campaign, the professional racing world and ethanol partnerships such as the one between American Ethanol and NASCAR®, have shown that biofuels like E85 and E15 can be as efficient and powerful as they are clean. “The ethanol industry is based on clever problem solving; at our core we are innovators,” said Michael Lewan, Public Affairs Associate for Growth Energy. “Our industry saw a need to diversify energy sources to create a sustainable infrastructure for the future, and we stepped up as problem solvers.” In 2011, POET and Growth Energy, an organization that partners with ethanol producers to promote the industry, partnered with NASCAR®, which made a series-wide switch to the E15 blend, further bringing biofuels to the forefront of the sport. “The highest blends of ethanol (E85) are only available to a select population of consumers: those who have purchased Flex Fuel vehicles. NASCAR® and American Ethanol opted to use a lower blend because it is more applicable to the general consumer,” Lewan explained. As Richter sees it, keeping the consumer and the future of the country in mind as his team works to improve its cars each year just makes sense. As ethanol does become more widespread, these student engineers are at the perfect crossroads of technology and education, something Formula SAE Mankato Engine Team Captain Andrew Klugherz says is important to both the industry and the future. Regardless of these teams’ outcomes each year, these future engineers are pairing their skills with the benefits of ethanol to shape a successful future in the world of biofuels.